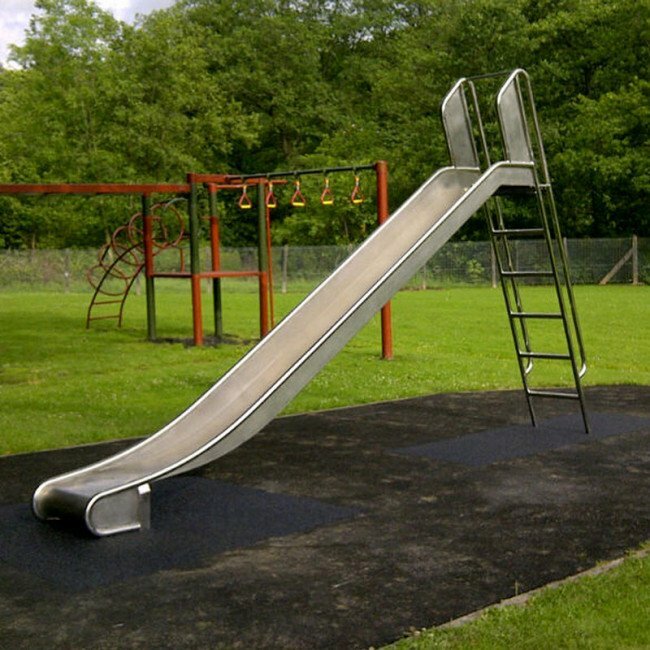 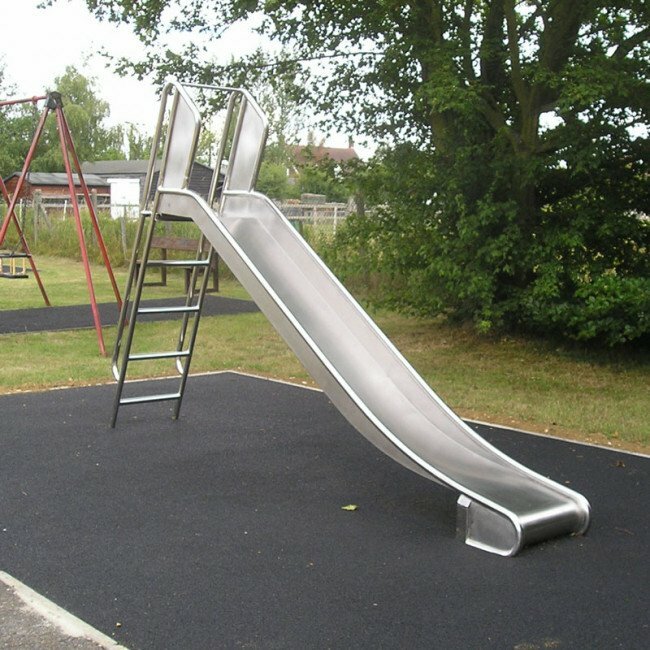 Stainless Steel Free standing slide complete with access ladder ideal for any childrens playground setting. 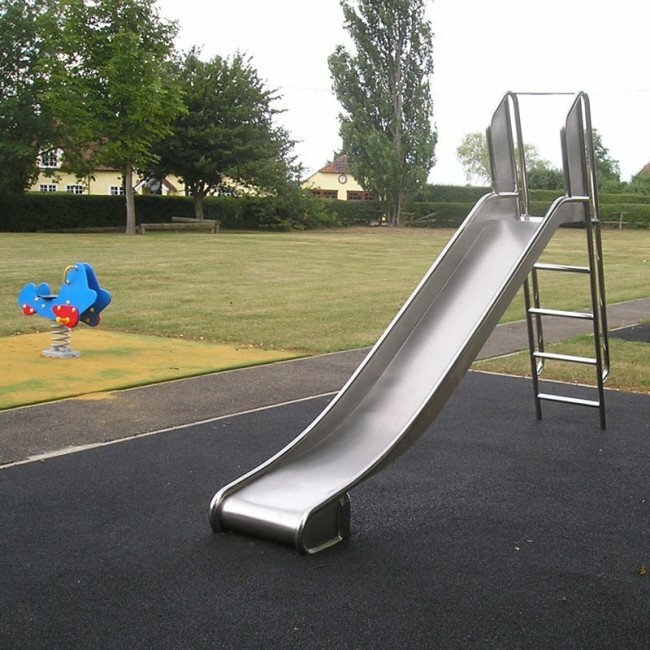 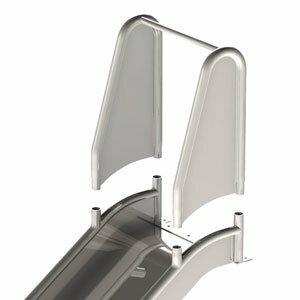 Our slides are manufactured from 2mm stainless steel sheet with a 38mm diameter handrail. 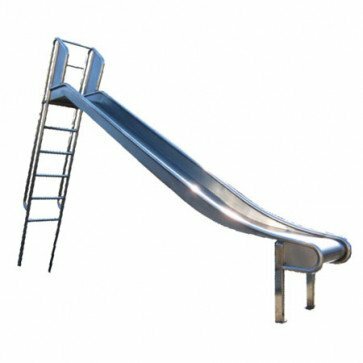 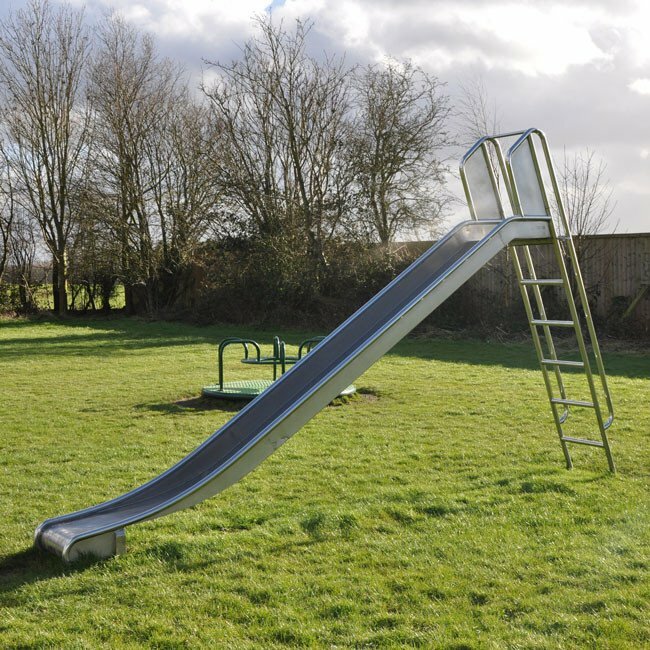 The slide is supplied in two parts (slide + ladder section). 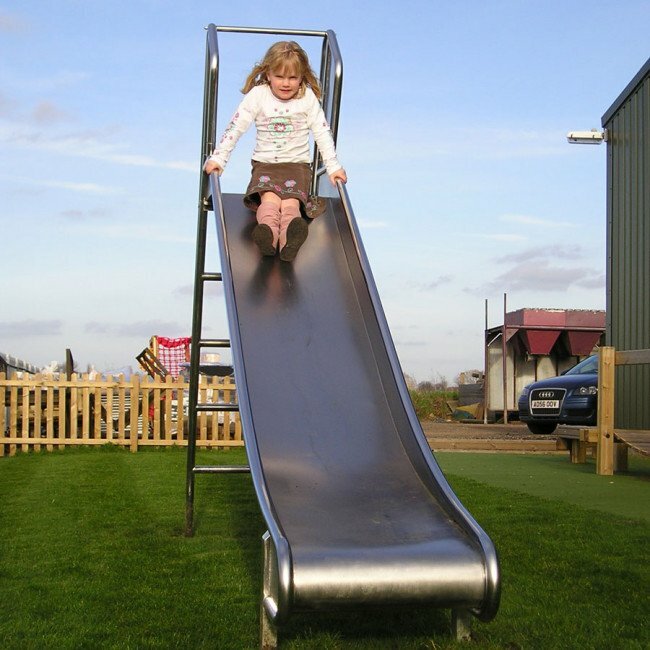 Once assembled the two sections are simply concreted in position.